After Bagan we have headed up north to the old British hill station of Maymyo, now called Pyin oo Lwin. The town is a little over an hour outside and above Mandalay, up in the hills and blessed with a much cooler clime. If you haven't figured this out yet I've got a thing for old colonial towns, and Pyin oo Lwin falls squarely into that category. The town is surrounded by large red brick clearly Victorian houses. 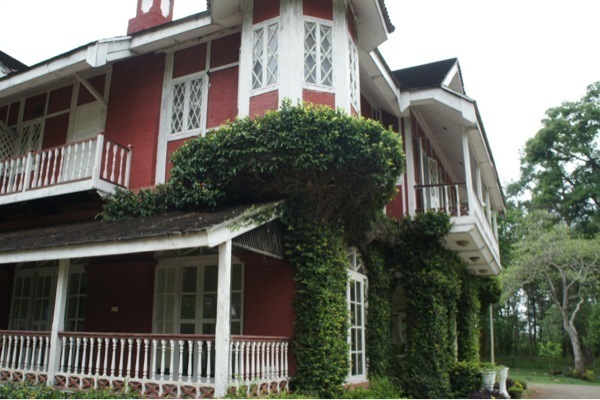 The Brits used an amalgamated style of Victorian and Burmese and all of them are a particularly vivid shade of red brick, with pointed roofs decorated with lace-like edges in teak wood. They weren't here for long but they did have time to set aside and developed a rather lovely park and botanical garden on the outskirts of town. Their influence is also felt by the mix of people in the town. When they settled Maymyo (as they would have called it) they brought with them the Indians and Nepalis they preferred to work with from their colonies in India. (There are all sorts of issues with that but I'll just look at the impact today). The town is wonderfully diverse with Burmese, Shan (the local people of the area), Indians, Buddhist, Hindus, and Muslims. Architecturally, this means the downtown is a mix of old colonial buildings, new concrete additions, local teak houses, a mosque, churches, Hindu temples, Buddhist Payas, and a very Victorian clock tower. We spent our first afternoon lounging in the National Kadawgyi Gardens, the Myanmar incarnation of the park set up by the Brits. Lucky for us we went on a Sunday of a holiday weekend so it was full of families, groups of teenagers, and monks enjoying live music and all that the park had to offer. It's a great place with beautiful flowers, an aviary, an orchid garden, a small museum, some very loud barking monkeys, and a lake. We sat down in the main lawn and, to our amusement, became what I can only describe as a kind of curiosity for the local people. Dozens and dozens of people came up and asked us to be in pictures with them. At one point we were completely overwhelmed by 20 screaming teenagers who rushed us as a group demanding pictures. As Sue said, now we know what it feels like to be famous. The other highlights of the town were a visit to the great local market. 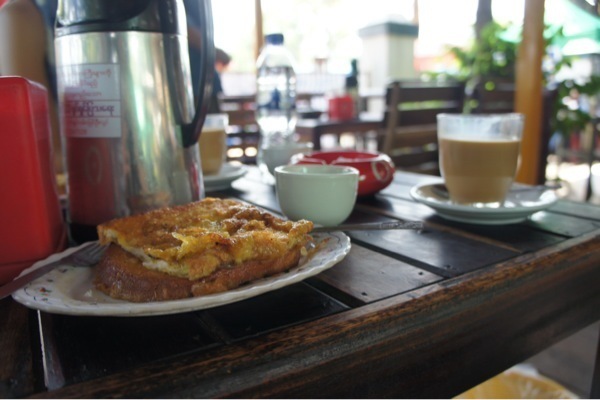 One our last day, Sue and I rented bicycles and on our way around town stopped at a local tea shop to listen to some live music (turned out it was a for a fundraiser for orphans), drink Burmese coffee, and eat what we referred to as "Burmese French toast". A nice little taste of local life. Camilla said her goodbyes after exactly a month of traveling - I will miss her. She is off to Mandalay a day early and then Bangkok, to head back to Europe. Sue and I are heading to Mandalay tomorrow, with our final Burmese night in Yangon.